Motordepot are pleased to announce the re-opening of our Clarence Street Branch in East Hull. Having recently been closed to allow maintenance and refurbishment work to be carried out the branch re-opened on Friday 23rd February. There has never been a better time to come and visit us in East Hull, with up to 250 cars in store and access to 3,000 online. Clarence Street was where it all began for Motordepot, in 2002. It was the location of our first branch, but more importantly it was the introduction to Hull of the Car Supermarket concept. A one stop shop, where the best deals are available on a wide selection of makes and models… we had something for everyone. The success of our Clarence Street branch paved the way for the company to expand across the UK, with branches now operating in Birmingham, Grimsby, Hessle, Newcastle, Scunthorpe and Worksop our expansion hasn’t stopped…there’s more to follow. 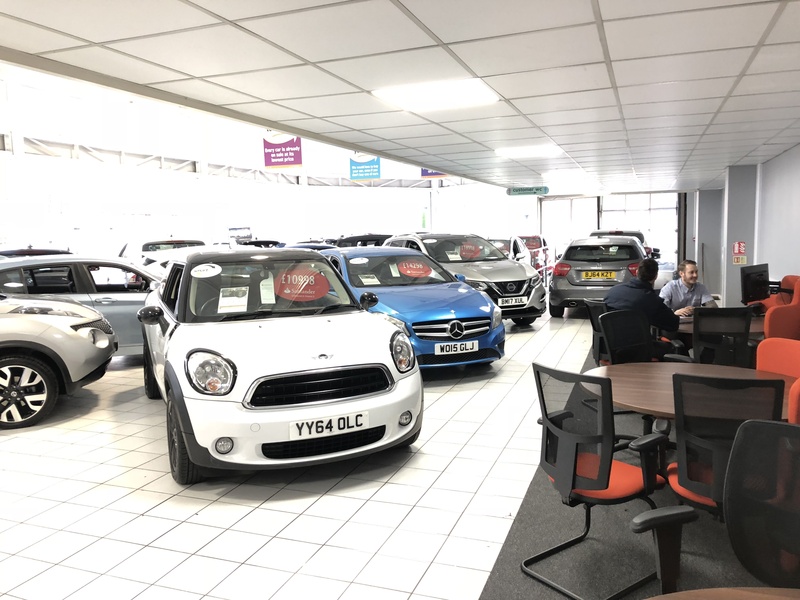 The time was due for the East Hull branch to receive a little bit of TLC, with a subtle redesign to emphasise the more welcoming and friendly approach to selling cars that Motordepot is now known for. The showroom has been decorated and we have moved away from the traditional desks to new circular pods, designed to make the interaction between our customer advisors and potential customers much more pleasant, relaxing and inclusive. Motordepot place a massive emphasis on customer service and our whole approach is centred around assessing each individual customers needs, recommending additional products that we think appropriate and allowing the customers to decide if the additional products are suitable for themselves. We take great pride in our customer reviews, and are proud to display them in full on our website. To date over 8,250 people have left reviews and 96% of those would recommend us to family and friends. Call in to our Clarence Street branch this weekend and meet branch Manager Chris Whitebread and his team for a tea, coffee and some biscuits!